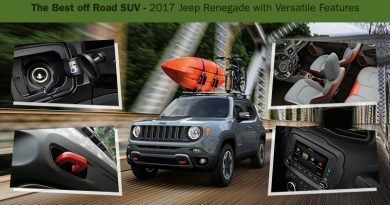 The 2018 Jeep Renegade is an SUV off road that has the enthralling performance and a reputation to lead the off-road trails. 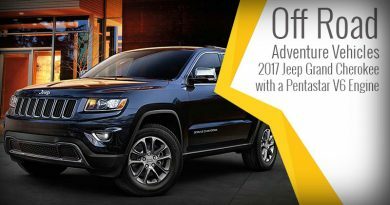 Jeep has the legend to make SUVs that outperform and has been the most favourite of adventure car lovers. This all-wheel-drive vehicle falls in the sub-compact SUV segment having a performance to mesmerise the adventure car enthusiasts. 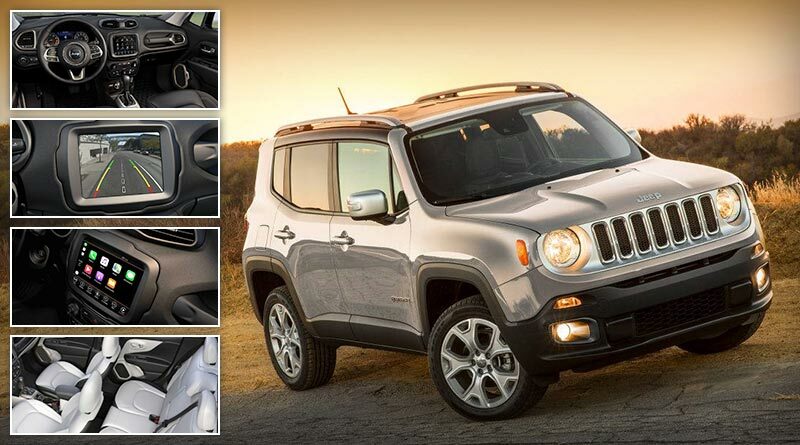 Having an aggressive exterior and sporty stance, the Jeep Renegade is all ready to take on challenging trails. The iconic Jeep design elements and performance paired with comfort and luxury make the Jeep Renegade SUV off road perfect for the UAE adventure rides. Having modern-day appeal, a bunch of all essential safety features and driver assistance features, it was revealed at the 2014 Geneva Motor Show for the very first time. Here is a closer look at the 2018 Jeep Renegade SUV off road and an in-depth analysis on its engine performance, safety features, design philosophy and much more. The rugged off-road appeal of Jeep vehicles has no match in the industry, and the 2018 Renegade is not an exception as well. The design details provide functionality and utility to ensure the comfort of the occupants. The designers at the Jeep has retained the signature Jeep design elements for the all-new Renegade SUV off road to keep the iconic appeal intact. While, there is a lot of space inside this subcompact SUV to provide better utility for all rides, whether in-city or adventure trips. Having sharp looks and wide stance, the 2018 Jeep Renegade has an athletic appeal. An iconic seven-slot Jeep grille having bright chrome accents, large air dam on lower bumper and signature round LED headlights on the sides. The bigger air dam provides better engine cooling function and thus the Renegade performs well even on challenging road conditions. For better visibility on the road and surroundings, there are LED daytime running lights, iconic LED taillights and rear fog lamps making the 2018 Jeep Renegade visible and safe for other commuters too. The sporty appeal of the all-new Jeep Renegade is made possible by 16-inch steel wheel, which is also available in the option of 17-inch and 18-inch aluminium wheels to accentuate its appearance. Available in 12 colours, one has plenty of options to customize the exterior and make it as their own style statement. The available exterior colour options include Anvil, Carbon Black Metallic, Black, Jet Set Blue, Granite Crystal Metallic, Colorado Red, Solar Yellow, Hyper Green, Omaha Orange, Glacier Metallic, Alpine White and Matte Green. The Jeep Renegade. The perfect outfit for the everyday jungle. When the exterior of the all-new Jeep Renegade offers signature styling, the interior compliments the overall design as well. With a seating capacity for 5-passengers, one can find ample legroom and headroom to enjoy the thrilling SUV off road rides without bumping into each other. The driver seat is 6way adjustable while the passenger seats are 4-way adjustable. 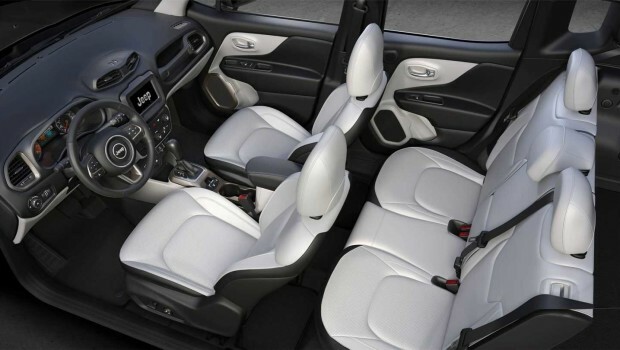 The rear seats have a 60/40 folding to increase the cargo space of this subcompact SUV. A leather-wrapped steering wheel in front of a 35-inch Thin Film Transistor High-Resolution Display looks very premium from the first glance. The more impressive features are the state-of-the-art convenience features and infotainment system which come as standard and optional too. An SUV off road is expected to have a thrilling and exhilarating performance, this is what buyers pay for and expect in return. The Jeep Fans are aware of the fact that their vehicles are born for performance and deliver performance what a best off-road vehicle is built for. The 2018 Renegade is a front-wheel drive with an option of the all-wheel-drive system. The high-performance and powerful 2.0-litre Tigershark Inline 4-Cylinder engine with advanced MultiAir technology propel 184 horsepower and 240Nm of torque. The wheels get power from a class-exclusive 9-speed automatic transmission. The remarkable and efficient SUV off road experience of the 2018 Jeep Renegade is what adventure car enthusiasts wish for. The all-new Jeep Renegade features a five modes Jeep Active Drive System that are Rock, Auto, Snow, Mud and Sand. Thus, taking your Renegade 2018 on muddy places or even on snowy lands is never a bad idea, as it knows how to perform or even outperform on challenging road conditions. It has a towing capacity of 2,000 lb. Having more than 70 essential and advanced safety features, the Jeep Renegade 2018 is undoubtedly a safe SUV off road for all occupants. Here are some of the standard and optional safety features which can make a customized 2018 Jeep Renegade a safe ride for all passengers and the other motorists on the road. Four trims levels of the 2018 Jeep Renegade are available in the UAE SUV off road segment. The Limited, Sport, Longitude and Trailhawk trim levels with a starting price of AED 88,000 which can be increased depending upon the customization and features.